Happy Spring! As most of the country begins to thaw from the harshness Old Man Winter dealt out this year, I decided my first project for Paper House was putting to use the rustic, bright and cheery Garden Collection! Combining the collection with a reclaimed old pallet turned picture frame and glittering some wooden letter using my 5 inch Xyron Creative Station, I turned it into something that echoes the sentiments of spring! Head over to Paper House to check out all the deets! Posted in Uncategorized, Xyron and tagged 3D Stickers, crafting, DIY, paper crafting, Paper House Productions, reclaiming pallets, spring decor, Xyron, Xyron Creative Station Xyron 5 inch Creative Station, Xyron glue dots. Bookmark the permalink. It is so fun to be ONE! Woot! Woot! It is Friday and we are in full P-A-R-T-Y mode! If you are hopping along the “blogiversary ” going on over at Everyday is an Occasion you are in the right place! If you are here by chance, you are in for a treat! Jill from Every Day is an Occasion is celebrating her one year blogiversary! Today you will be hopping from blog to blog gathering birthday inspiration. AND she has some amazing CHA crafting swag she scored over this summer for her goodie bag giveaway! My birthday inspiration came from the delights of one of my many weekly Target runs. Yes, I said Target! I saw a card in the stationary section that caught my eye and when I almost summoned up the courage to think I may buy it, I realized that I could so easily make this and save the million dollars $4.99 they wanted for it. Duh!!! Yes, sometimes I loose my mind and forget that I have a 300 square foot crafting island in my house. I blame that moment of insanity on the blinding bright lights of Target and my kids nagging me to get over to the toy department so they can add to their already mile long Santa list. 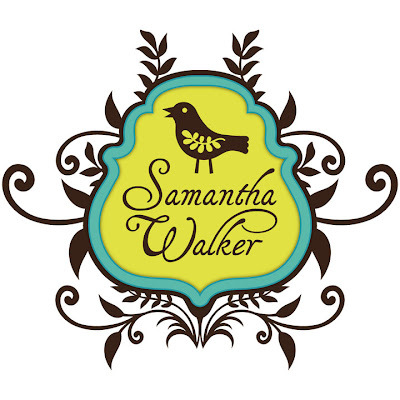 This is a Samantha Walker cut that can be found at the Silhouette Store. It was super easy to put together and all I did was copy the base of the image and flip it and weld the two bases together to form a “fold” card. If you need a good tutorial on welding with your Silhouette, click HERE. I added sentiments from the retired My Pink Stamper Collection under the scoop flaps for more sweet surprises. This card was a lot of fun make and I know it will bring a smile to any birthday celebration! Be sure not to forget to head over to the “Birthday Blog” and get yourself in the giveaway mix! Now let’s keep the party hoppin’! Posted in My Pink Stamper - Yummy-licious, My Pink Stamper: Birthday Doodles, Samantha Walker Designs, Silhouette, Silhouette Cameo, Uncategorized and tagged Blog Hop, crafts, DIY, Everyday is an Occasion, ice cream, paper crafting, Samantha Walker, welding a Silhouette image. Bookmark the permalink. Jinger Adams meets Kiwi Lane Designs! Hi all and happy back to posting day to you! I have been B-U-S-Y with getting my almost Kindergartner ready for her first day of school! YIKES! On a fun note, check out the fun layout I have up over at Jinger Adam’s Blog today. I got to play with some Kiwi Lane Designs framing templates for the first time since we have teamed up with them this month and man were those fun! Head over and see how I did it! Posted in Jinger Adams, Kiwi Lane Designs, Paper crafting and tagged Crafing, crafts, DIY, Jinger Adams, Kiwi Lane Designs, layouts, paper crafting, Sweet Tart Collection. Bookmark the permalink.